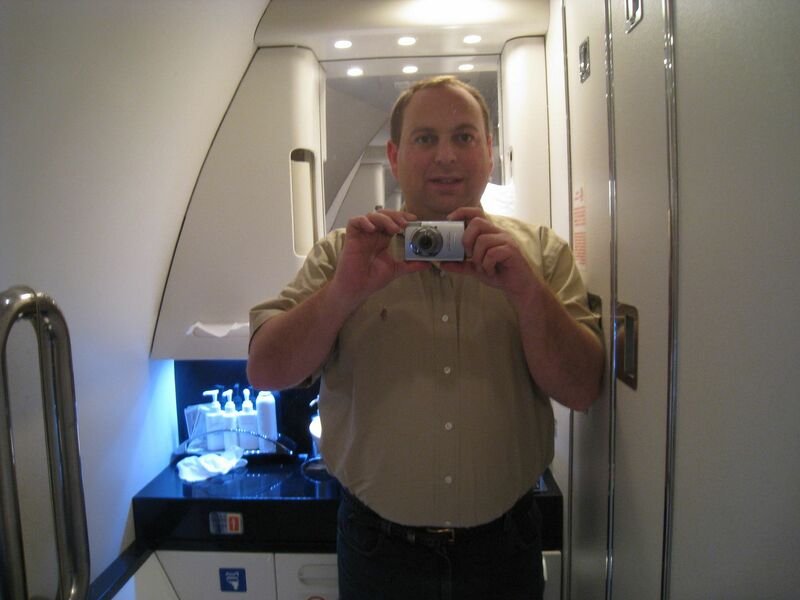 Heather Poole pioneered the laviator idea, taking photos of yourself in airplane lavatories. About a week ago, Flying with Fish posted laviator photos of himself. What could be trashier than taking a picture of yourself in the lavatory? Except here I am, in a first class lavatory. Oh, sweet irony! Good to put a face with the name. Wow, CX’s F-lav is far nicer than BA’s F-lav! Looks similar to LH’s 744 F-lav. PS: Glad my blog post inspired you! and thanks for zipping up. Seriously, what camera do you use. I lost mine on my last trip and need to get a new one soon. Nope, jeans. Not in PJs, thankfully, as this was my Hong Kong-Manila segment.